Some Items may need to be shipped from the manufacturer directly, in this case you will be notified and expect delivery within 5-7 working days. In the event that your selection is out of stock, you will be notified and a call will be made to manage your order. 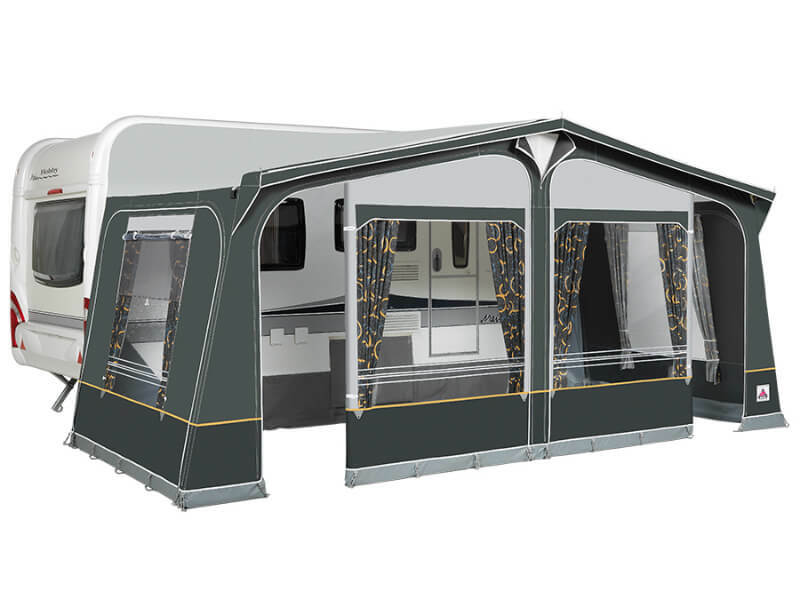 The Daytona is now produced in 3 depths since 2018 (240cm, 270cm & 300cm) and was voted by dealers as the most popular touring awning in the UK. 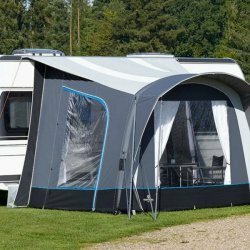 Daytona uses the latest Ten Cate All Season touring material which provides superb quality.The material is extremely strong, easy to clean, colourfast and will give super performance in all weather conditions. The new Daytona is fitted with a fly screen panel on the right hand side. Comes with standard 25mm steel frame – Call us on 01934 524240 to order the optional 28mm Steel frame, Aluminum or Fibre frame.